USCONTRACTING is a State Licensed General Contractor CGC 1516374. We are fully insured and perform our work according to OSHA standards. We excel in providing excellent service and quality regardless if it is a small residential project or a large commercial development. We have always been a full service Structural Shell Contractor specializing in Commercial and Hi-End Residential projects. One of the things that makes U.S. 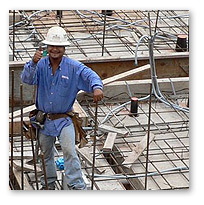 CONTRACTING unique among most construction companies is the level of personal attention we are able to provide for our clients. From the Bidding / Pre-construction phase, all the way through the construction and Final Close-out, the owner of U.S. CONTRACTING is personally involved in every aspect of your project. He will personally address your concerns and will never delegate responsibility to others. When you work with U.S. CONTRACTING, you work directly with the owner. The owner of U.S. 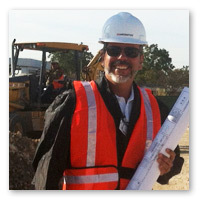 CONTRACTING, Alexander Ynastrilla, has been immersed in construction all his life. He is a fourth-generation Architect - Builder, tracing his roots back to the Old Basque Country. After graduating from the prestigious Pratt Institute School of Architecture in New York, he made Miami his home and immediately began working in the family business. He established U.S. CONTRACTING a few years later with a focus on quality control and personalized service. Over 15 years and many, many satisfied clients later, U.S. 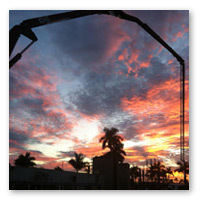 CONTRACTING has established a strong reputation in South Florida for getting the job done on time and on budget. To provide our customers with the highest level of quality construction services at fair and competitive prices. Bank Atlantic HQ, Ft. Laud.